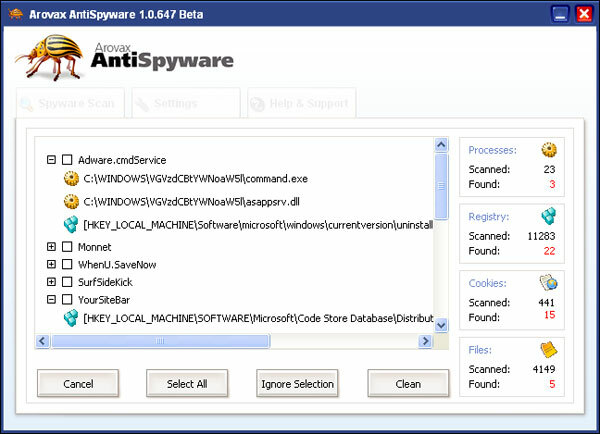 Arovax AntiSpyware Beta is a typical on-demand spyware scanner and remover with a limited set of functions. The application is designed mostly for novices and inexperienced users who need a simple, easy-to-use, but yet effective tool for eliminating widely spread parasites and cleaning up the compromised system. Although the program is still in development, it can already protect user privacy and system security. Nevertheless, Arovax AntiSpyware Beta is not as much powerful as its major rivals are. 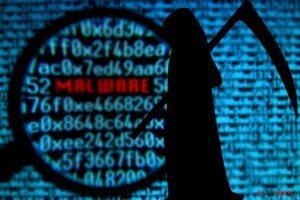 It misses a lot of well-known threats, and its scan technique does not seem to be reliable enough. The application checks the Windows registry, running processes, files and folders on all local drives. Only one scan mode is available. The user cannot modify any scan settings. The only additional functions available are Ignore List and Quarantine. Scan reports are quite informative. The user is provided with parasite names, objects and their exact locations. However, the program does not display any threat descriptions. The most questionable side of Arovax AntiSpyware Beta is its scan technique. System scan performed on a regular modern computer storing hundreds of gigabytes of various data does not take longer than a few seconds. It is obvious that the scan engine does not check every file in the system, and relies only on spyware signatures database. Nevertheless, the program manages to correctly identify some installed parasites during the scan. This could be called innovative and effective, if the spyware remover would not miss numerous widely spread, well-known infections such as the SpyFalcon and DrSmartload trojans, Look2Me and SP2Update adware, the Elitebar parasite, About:Blank hijackers, etc. 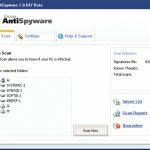 Arovax AntiSpyware Beta uses a regularly updated spyware definitions database. The program’s interface is very simple and straight. It is also convenient and user-friendly. The beta version of Arovax AntiSpyware is a free product. 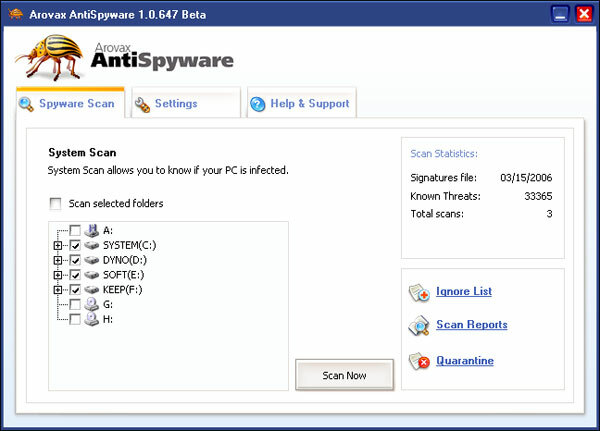 It can be downloaded from the official web site www.arovaxantispyware.com. Another domain associated with the product is www.arovaxcompany.com. It must be noted that the new spyware remover is not ready for everyday use yet. However, it is still worth a try. 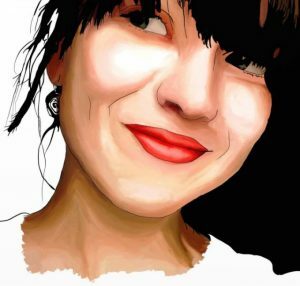 This entry was posted on 2014-05-12 at 22:22 and is filed under Anti-Spyware, Software.